If there was ever proof needed that the Championship Play-Off Final is a game that, financially, heavily influences the future of its participants then the game, back in May, certainly provides it. On that wonderful Saturday afternoon, it was Fulham that emerged victorious, beating Aston Villa 1-0. 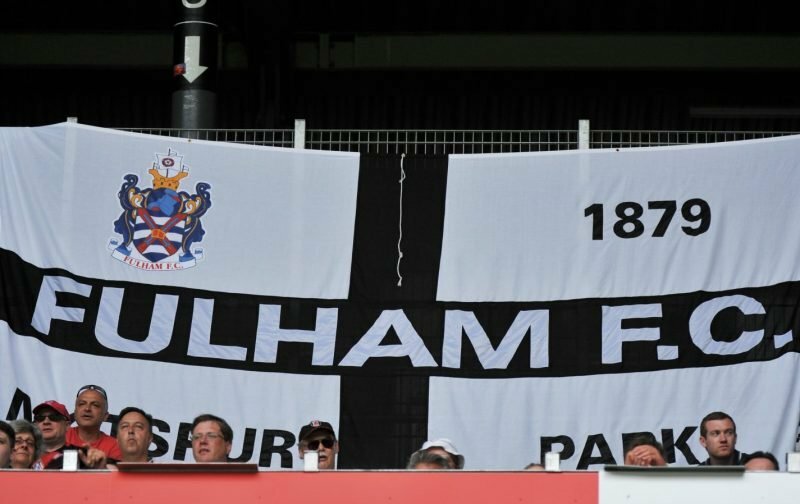 For Fulham there is the hugely anticipated Premier League season to enjoy, regaining our Premier League status has rejuvenated the club and, as always, expectation levels are high. Unfortunately, it is a different story when it comes to Aston Villa. A failure to climb back into the top-tier of English football has seen the club plunged into a financial crisis. With the parachute payments cut, following another season out of top-flight football, Aston Villa are having to cut their cloth accordingly. Financial cut-backs are having to be made as Steve Bruce contemplates a challenge of a different sort. Perhaps the seriousness of their plight is perfectly illustrated by an admission from Steve Bruce that appears in the news source, the, Mirror, whereby the Aston Villa manager admits that the club is in such a poor financial state that, at the moment, they cannot even afford to bring in players on free transfers. Sat here in the editorial chair, I can’t but help think the time is ripe for Fulham to take a chance, offer a decent price for Jack Grealish and kill two birds with one stone, bring a decent young player to Craven Cottage whilst also offering Aston Villa a financial life-line. What are your thoughts on the above subject matter? They owe John Terry half a million in back wages, they are offering their ground for sale with leaseback and cannot at present meet this months wage bill, watch this space. !!! Do you have a source for these claims or are you grasping at straws like the press? Hey Gilbert, where you getting this info from and when you gonna buy me a cider ? I agree that bidding for Grealish makes sense and would be great for the club. The problem is the potential cost. The AV suggested price of 30M is ridiculous. A bid of 15-18M makes more sense. We badly need to sign Mitro; get help for our back line; buy a quality right wing and secure an experienced goalie. I agree with Mr Weinstock , 15 million (less the 5 odd million they still owe FFC) but put offer in for a 72 hour period only and involve the Aston Villa bankers/financiers as they must be getting scared about HMRC winding the club up. It would make more sense to reduce a Jack Grealish offer by the amount outstanding on Mc Cormack’s departure, surely! Let’s get the player, who could easily fit in with Slav’s formation and the money we’re owed. C’mon Alistair and C.O.Y.W’s. I see no place for Grealish. Our midfield is full of quality players. Unless we pay a bargain price due to their financial problems. Also he may not want to leave being AV through and through.